In the 1970s, the tsunami known as the quartz crisis swept though the watchmaking regions of Switzerland and Germany. It threatened to wipe out watchmaking as it was then known. Indeed, numerous brands disappeared during that time. Rolex, a strong brand with a loyal following and a marketing tsunami-like machine of its own, looked to survive the crisis regardless. But to ensure that it capitalized on the new electronic phenomenon, Rolex had already embarked on an R&D and manufacturing mission of its own. Rolex made no bones about the fact that they were NOT halting production of mechanical timepieces. They were merely adding a product of proven popularity to the line. The first product of this effort was the QuartzDate, ref. 5100, which Rolex released in 1970. The QuartzDate was a valiant first effort and quickly sold out. It was the first production Rolex to feature a sapphire crystal, and had hacking seconds and a quickset date. But the watch ultimately proved to be less than popular – and less than successful. 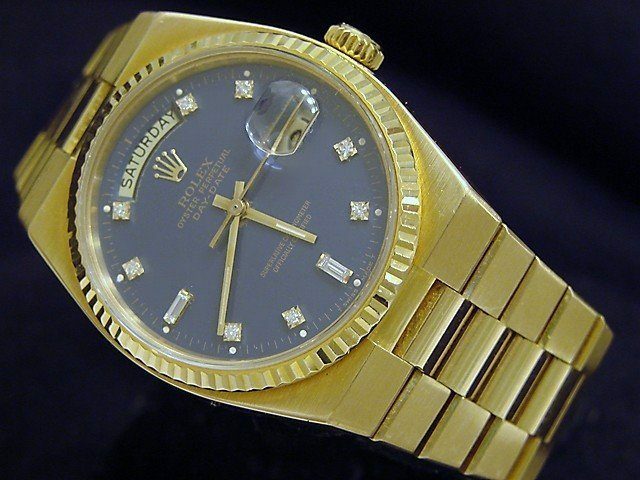 Rolex discontinued it in 1972. But they weren’t done with the tiny vibrating crystals. 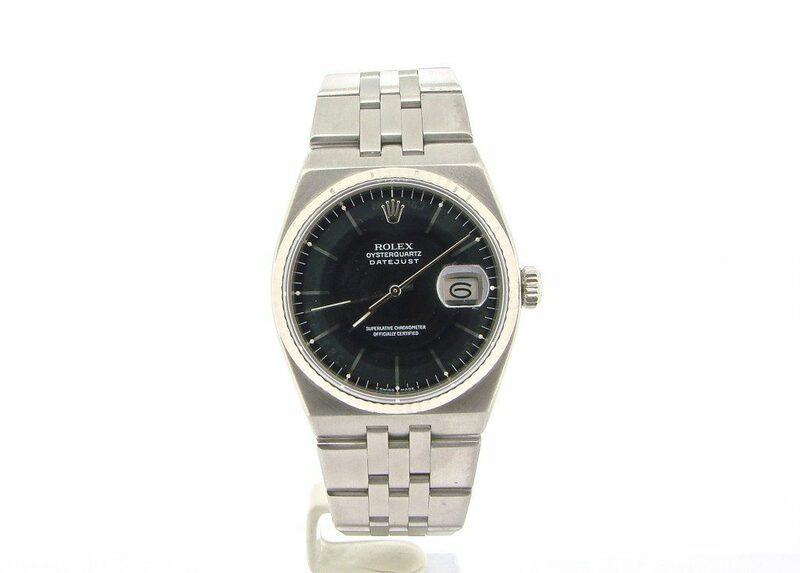 In 1977 they released both the Oysterquartz Datejust, ref. 17000, and the Oysterquartz Day-Date, ref. 19018. As the names imply, these were electronic counterparts to the two flagship Rolex mechanical timepieces. Also worth noting, the electromechanical calibres within the Oysterquartz Datejust and Day-Date were developed and produced completely in-house. They contained 11 jewels each, and carried calibre numbers 5035 and 5055, respectively. Fit and finish of these calibres were frankly phenomenal, some say better than those of Rolex’s mechanical movements. The Oysterquartz watches are among the few Rolexes that never underwent numerous evolutionary changes during their production lifetimes. In fact, they barely changed at all, inside or out. This is a testament to their thorough development and their groundbreaking set of features. However, an interesting and little-known fact is Rolex did continue development of quartz movements beyond the 5035/5055. Ultimately, due to the lackluster sales performance of the Oysterquartz, these newly developed calibres never went into production. The Rolex quartz era drew to a close not that long ago. 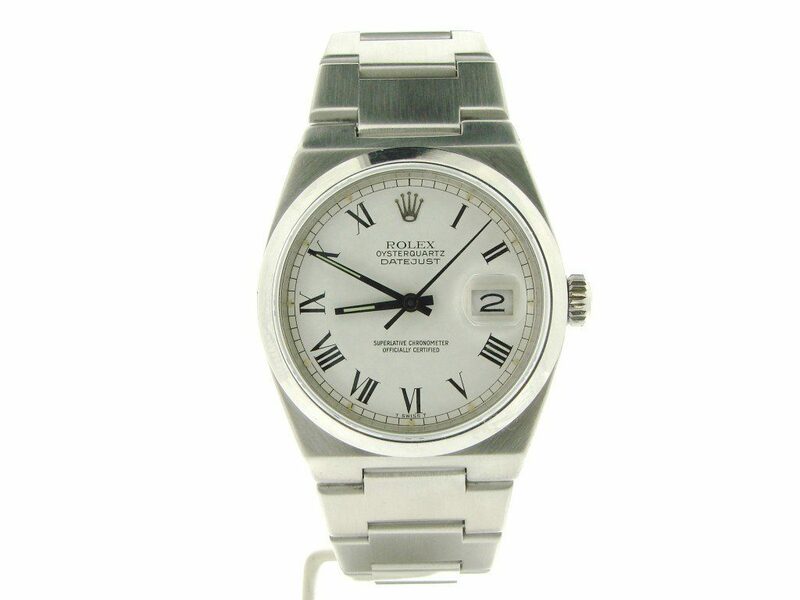 Oysterquartz watches were last seen in the Rolex catalog in 2001. The last pieces sold out of dealers in 2003. This of course, made the timepieces all the more desirable in the eyes of collectors. They still appear today in auctions, and occasionally in the cases of vintage watch dealers. Ever wonder about the backstory of your favorite Rolex? Well, stick with us. 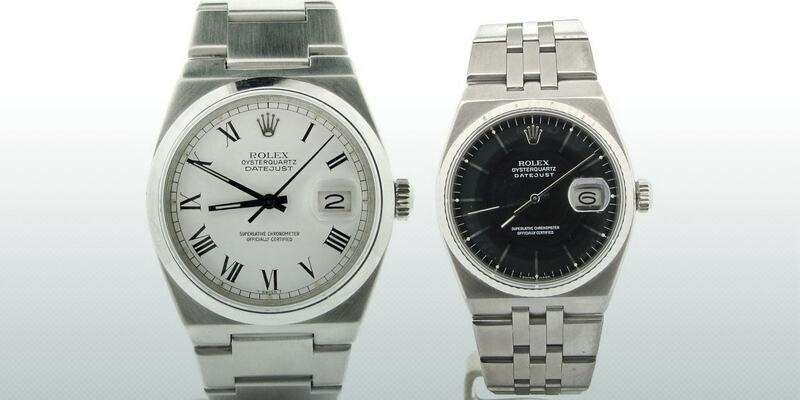 This is the eighth in a series of posts featuring histories of significant Rolex models. In all, Rolex has introduced nearly three dozen models since 1950. Over the next several weeks, we’ll touch on each. You’ll find all the reference numbers connected with each model here.